At about nine per cent of the population, Bulgaria’s Muslim minority is the EU’s largest. The minority group is made up of Turkish-speaking “Bulgarian Turks,” of Bulgarian-speaking Muslims commonly known as Pomaks and of a sub-group of the Roma minority. Given that Bulgaria was for 500 years a part of the Ottoman Empire, gaining independence only in 1878, the country’s national identity has developed, to a large extent, by setting itself apart from “the Turks” and employing anti-Turkish rhetoric. This us-them, anti-Turkish attitude remains the bastion of Bulgarian nationalist sentiment even today. The country’s nationalist parties are also taking aim at the Roma community of 400,000. The device appeals to the many Bulgarian voters who are highly prejudiced against the Roma minority. City neighborhoods are increasingly divided according to ethnicity, writes Petya Kabakchiewa, dean of the sociology department at Sofia University. Half of Bulgaria’s citizenry would prefer not to have Roma neighbors – nor neighbors of African, Arab or Chinese descent for that matter, Kabakchiewa notes. A survey shows that less than 30 percent would like to work in a company co-managed by Roma, though more than 70 percent wouldn’t mind Roma cleaners in their firm. The xenophobia inherent in Bulgarian nationalist platforms resounds with more than 20 percent of the voters. It is also accompanied by agitation against migrants and, increasingly, against refugees. Many Bulgarians are worried about the flood of Syrians seeking refuge in their country via Turkey. The government in Sofia, which has little experience with refugees, appears to be at a loss as to how to deal with the uprooted Syrians. Bulgarian society as a whole has little experience with refugees. Another relatively new tool in the Bulgarian nationalist belt are the warming relations toward Russia. Surprisingly, the Ataka Party supports the coalition of Socialists and representatives of the Turkish-speaking Muslim minority currently in government in Sofia. “Nationalist voters couldn’t understand the fit: an ultra-nationalist party allied with the centrist ‘Turkish’ party Movement for Rights and Freedom,” Emil Cohen, head of the Bulgarian Tolerance Foundation, told DW. According to Cohen, Ataka’s election success is due primarily to the party’s anti-Turkish propaganda. Ataka doesn’t stand much of a chance in EU elections later this month, though, Cohen says. However, other nationalist parties, like the National Front for the Salvation of Bulgaria (NFRB), do. 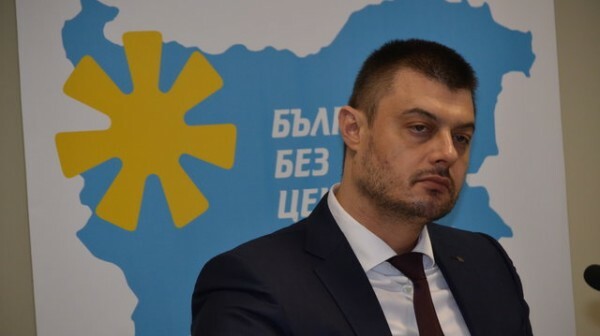 The NFRB’s ideology is similar to Ataka’s, but crucially, the party hasn’t been tainted by corruption allegations, since it isn’t represented in the Bulgarian or European Parliament, the expert says. Their rhetoric is aimed mainly at the alleged high birth and crime rates among “Gypsies.” The party has urged banning Roma children from public education unless they speak Bulgarian. The NFRB also plans to fight the construction of new mosques, Muslim worship and the wearing of headscarves by women. Disillusioned former Ataka politicians founded the NFRB in 2011. The similarities are evident among Bulgaria’s various nationalist groups: They try to garner votes by amplifying xenophobia, calling for a strong nationalist state led by an iron fist, and revealing anti-EU and anti-globalization tendencies. The EU Commission has repeatedly accused Bulgaria of rampant corruption and a poorly functioning judiciary since the country joined the EU in 2007. One out of five Bulgarians might cast his vote in favor of such sentiments – but Bulgaria’s nationalists are split and not likely to fully exploit the potential. According to an opinion poll conducted in March, the NFRB can expect to win one or two seats in the European Parliament, said Emil Cohen. One other newcomer to the political scene, the Bulgaria Without Censorship party (BWC), joined the fray just a few months ago. It has allied with Bulgaria’s oldest nationalist political party, the Bulgarian Nationalist Movement (IMRO). The BWC is currently the country’s most domestically successful nationalist party. A Gallup polls shows BWC coming fourth in the May elections, ahead of the far-right Ataka party. In total, three nationalist parties – all with similar platforms – will be vying for Bulgarian ballots. Observers expect two of them to leap into the EU Parliament.